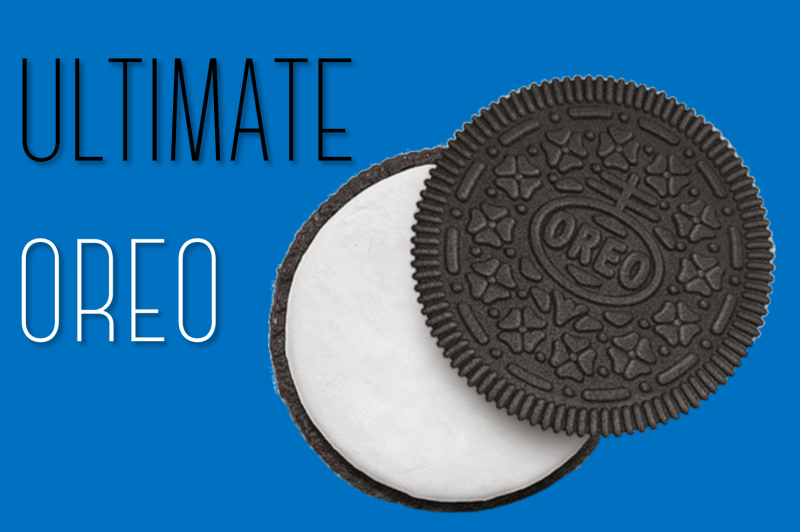 Ultimate Oreo is an easy, quick and extremely fun game that you can play just about anywhere. Select and provide each team with a package of regular Oreos. You will also need to give them a small area to work that can get a bit messy. A table or a covered area on the floor will do the trick. Each team will then be given 3-5 minutes to peel the white filling (aka “the stuff”) off of each Oreo and combine it together to create one Ultimate Oreo. Whoever has the tallest Ultimate Oreo at the end of the time limit wins! Team members are only allowed to use one hand. This requires teams to work together and makes the scraping off of the filling much more difficult (and time consuming). 1. Give little cups of mini-Oreos (usually a $1) to each member of the winning team. 2. Play music in the background to enhance the atmosphere. 3. Take pictures of teams with their Ultimate Oreo and post them on Facebook & Instagram. This game was a big hit for us at this week’s youth group! Biggest perk for them was eating all the leftover cookies 🙂 Great idea! Are you putting the white filling between just a top and bottom cookie shell? At the end will it be a top and bottom cookie with a lot of white between? Sorry I’m just not clear on this game. Hi Brenda! Yes, we have them peel off the filling from the cookies and just have a top and bottom shell (cookie), with the middle being a giant piece of filling. If you want an alternative or you’re looking for a quicker game, you can just see how high they can stack them. Hope that helps and thanks for checking out the blog!